Barclays Africa Group has announced the appointment of Zambian Mizinga Melu as new Chief Executive of Barclays Africa Regional Management. Ms Melu will be in charge of the group’s businesses outside South Africa. The appointment will be effective on October 1st 2014. Ms Melu will oversee the development of stakeholder relationships with governments, regulators, the Boards and customers in the countries. According to a Barclays press release, country Managing Directors of all Barclays Africa’s businesses outside South Africa will report to Mizinga, who will co-ordinate integrated planning and ensure the development of product-led and country-specific strategies, as well as support their execution. Ms Melu explained to TanzaniaInvest that she is excited to have the opportunity to work with the leadership teams of our operations outside South Africa as we continue on our journey of building the ‘Go-To’ Bank in Africa. 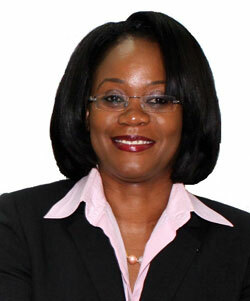 Ms Melu will report to David Hodnett, Deputy CEO of Barclays Africa Group. She joined the Absa Group as NBC Tanzania Managing Director in 2013 and she had previously held a number of roles at Standard Chartered including CEO of Standard Chartered Zambia, Global Head of development organisations in the UK, and Africa Regional Head of financial institutions in both South Africa and Kenya.